陈想想, 施阳, 陆一涵, 陈越火, 陈恺韵, 任宏. Chen Xiangxiang, Shi Yang, Lu Yihan, Chen Yuehuo, Chen Kaiyun, Ren Hong. Chen Xiangxiang, Shi Yang, Lu Yihan, Chen Yuehuo, Chen Kaiyun, Ren Hong. Spatial-temporal distribution characteristics of hepatitis E in Shanghai, 2006-2016[J]. Chinese Journal of Epidemiology, 2018, 39(7): 971-976. Abstract: Objective To understand the epidemiologic characteristics and spatial-temporal distribution of hepatitis E in Shanghai between 2006 and 2016. Methods The reported incidence of hepatitis E and health facilities' information between 2006 and 2016 were collected from the China Information System for Disease Control and Prevention. The geographic information were from Shanghai Surveying and Mapping Institute. The map scale was 1:750 000. Global and local autocorrelation, and spatial-temporal detection methods were applied to determine the spatial-temporal characteristics of hepatitis E. Software ArcGIS 10.1 was used to analyze global and local spatial auto correlation of hepatitis E spatial clusters. Software SaTScan 9.4.4 was used to conduct scan for exploring the areas of hepatitis E temporal spatial clusters. Results A total of 6 048 cases of hepatitis E were reported in Shanghai during 2006-2016. The average incidence was 2.14/100 000. Spatial auto correlation analysis indicated that there was significant spatial positive correlations and spatial-temporal clustering of hepatitis E in Shanghai, and the "high-high cluster" was mainly located in the downtown of the city. Conclusion Understanding the spatial-temporal clustering areas of hepatitis E cases in Shanghai from 2006 to 2016 is important to the reasonable allocation of public health resources and effective prevention and control of hepatitis E.
 刘振球, 左佳鹭, 严琼, 等. 我国2004-2014年戊型肝炎流行的时空特征及趋势分析[J]. 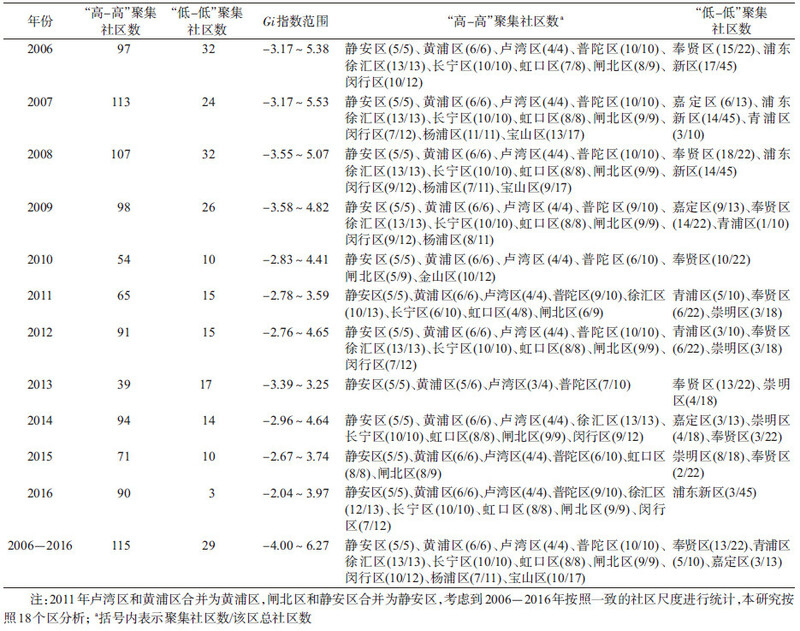 中华流行病学杂志, 2017, 38(10): 1380–1385. 任宏, 李燕婷, 周欣, 等. 上海市1997-2012年戊型肝炎流行特征和基因分型研究[J]. 中华流行病学杂志, 2013, 34(5): 419–423. Shanghai Bureau of Statistics. Shanghai Statistical Yearbook[EB/OL]. http://www.stats-sh.gov.cn/html/sjfb/tjnj/.